What would science fiction be without wormholes and warp speed? As Albert Einstein's general theory of relativity turns 100, here are five ways it has made the universe – in reality and in science fiction – a more interesting place. Wormholes, warp speed, space-time anomalies — science fiction wouldn't be the same without Albert Einstein's general theory of relativity. And in the real world, we would probably also notice a few things missing from our lives. The German-born physicist finished presenting his groundbreaking theory to the scientific world at the Prussian Academy of Sciences exactly 100 years ago today. It was a simple, elegant set of equations that described space-time as a stretchy, flexible fabric, and gravity as deformations in space-time rather than a "force." The math itself is complicated, says Pedro Ferreira, author of The Perfect Theory, a new book about general relativity. "But when you are able to figure out how to solve it, you figure out incredible things," he told Bob McDonald, host of CBC's Quirks & Quarks, in a recent interview. "We are still mining this theory for what it's going to tell us." Here are some of the most amazing things that have come out of it so far. One of the weirdest mind-bending phenomena hiding in Einstein's new theory was one of the first discovered — by a soldier fighting on the Russian Front of the First World War. Karl Schwarzschild was a German astronomer who read Einstein's paper on the battlefield in 1915. Inspired, he decided to solve the equations for the warped space-time produced by a spherical body such as the sun. 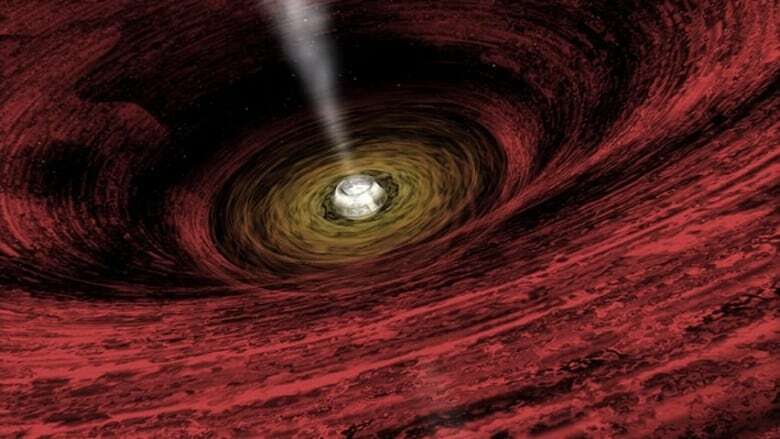 Black holes like the one in this artist's impression were one of the first theoretical discoveries in Einstein's theory of general relativity, but real black holes weren't discovered until more than a decade after Einstein's death in 1955. He sent the solution to Einstein, who liked it, but was skeptical of one aspect – Schwarzchild's solution showed that a small spherical object with a lot of mass would warp space-time so much that it would swallow and trap anything that came close, including light itself. The phenomenon was later named a black hole. "Einstein didn't believe these things existed," Ferreira said. Instead, he thought it was a "mathematical artifact." Schwarzchild died in 1916, and real black holes weren't seen until more than a decade after Einstein's death in 1955. But they've starred in science fiction and captivated astronomers now for nearly a century. It's no big deal – just the prevailing theory about how the universe began. Two scientists who studied Einstein's theory in the 1920s realized that his equations showed that the universe should be expanding, and if you went back far enough, the universe would get smaller and smaller until you hit a moment now called the Big Bang. As with black holes, the idea was so weird that Einstein didn't believe it. He came up with a "cosmological constant" to stick in his equations to stop the universe's expansion from mathematically happening. He finally realized he was wrong after American astronomer Edwin Hubble showed that distant galaxies are moving away from us. Admittedly, a gadget that shows your position on maps and tells you where to turn isn't as cool as black holes and the Big Bang. But so far, it's the only practical, everyday use of general relativity. How, exactly? Well, the theory shows that the stronger gravity is, the slower time goes, says physicist Damian Pope, part of a public education team at the Perimeter Institute for Theoretical Physics in Waterloo, Ont. "It's not something you notice with the naked eye in your daily life," he said. But time is an important variable that GPS satellites use to triangulate your location. And if you're orbiting 20,000 kilometres above the Earth's surface, as they are, the weaker gravity at that distance can throw things off by 500 trillionths of a second each second. "GPS is such a precise technology that it actually needs to correct for that," Pope said. Otherwise "you'd be off by 10 kilometres every day." And you can probably imagine how useful GPS would be if that were the case. 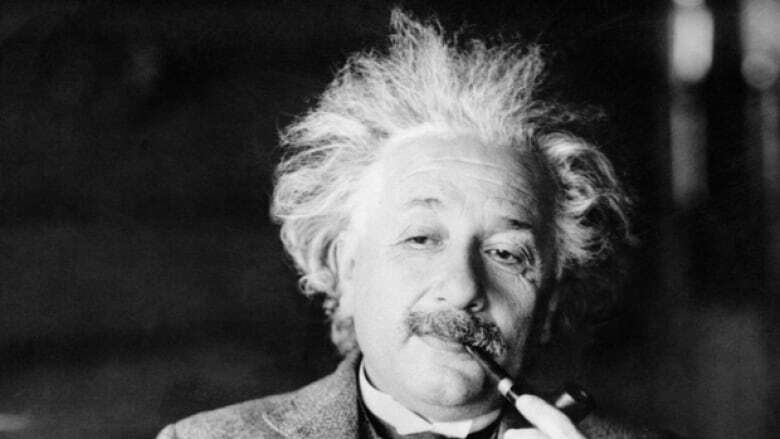 General relativity is a treasure trove of ideas that have enriched science fiction for decades. Take wormholes – a popular form of transportation for fictional space explorers and a consequence of general relativity's stretchy space-time. "That kind of flexibility allows you in theory to kind of bend space so much that you actually get really a shortcut between different parts of the universe, potentially even opposite parts of the universe," Pope said. 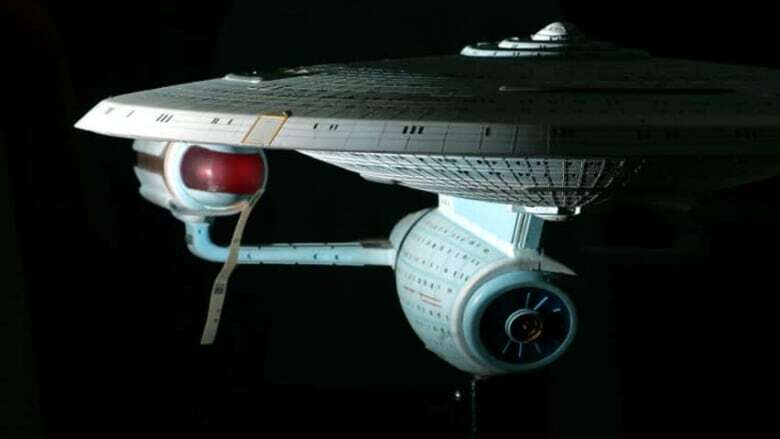 In Star Trek, warp speed is also based on general relativity – starships can exceed the speed of light when space-time expands behind the starship and compresses in front of it. Both these ideas originated with theoretical physicists studying relativity, and exploring such ideas help us better understand the theory, Pope says. "Unfortunately, space is incredibly difficult to bend and warp to our will with the means that we have," he said. There's one more very useful tool that's come out of general relativity – for scientists. It's called gravitational lensing. "The basic idea is that the sun, a galaxy — any big celestial body — actually bends light that travels near it," Pope said. "Think of it like a magnifying glass." That allows scientists to study objects in the distant universe that they couldn't otherwise see clearly, and even some things they can't see at all – dark matter, for example. But that matter still has mass, and therefore gravitational effects, Pope added. "Gravitational lensing has been really, really important to figuring out all this stuff that's out there in the universe," he said.